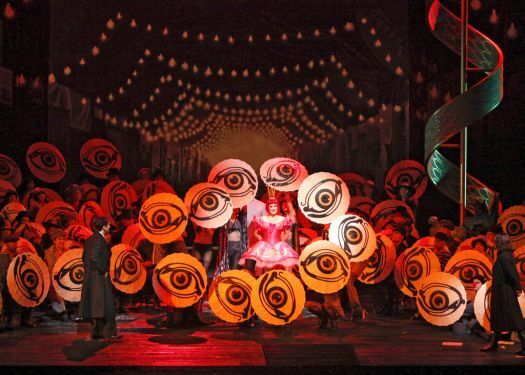 Today was the second simulcast from the Metropolitan Opera of Offenbach's The Tales of Hoffmann. 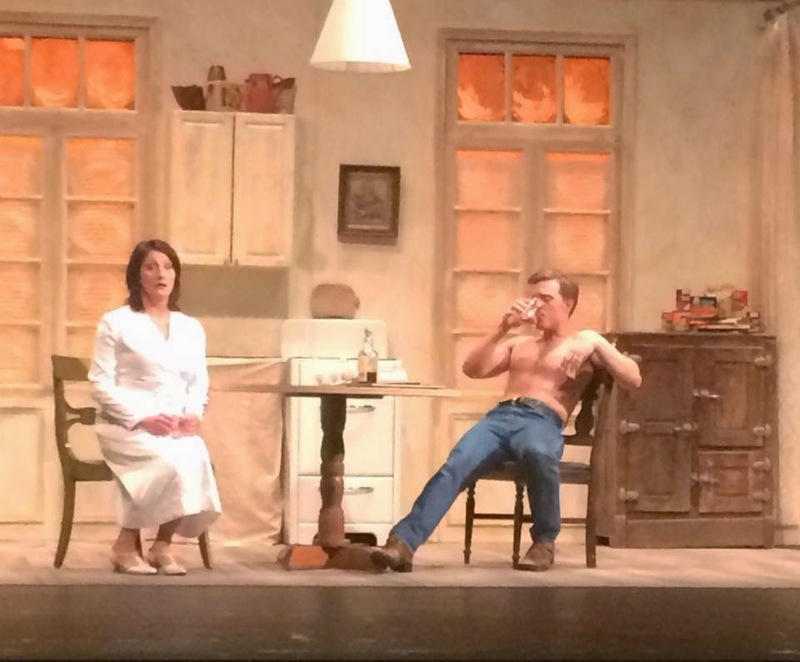 Bartlett Sher told Debbie Voigt that the inspiration for his staging was Kafka. I think in this version the production was somewhat darkened and toned down. Nothing looked too shocking. In another context the production was called surreal. I think this is a correct use of the term. I notice they have put the order of the scenes back to the traditional order: Antonia before Giulietta. Yves Abel from his official biography: "A Franco-Canadian, he has a particular affinity with the French repertoire and has won significant critical acclaim for his achievements as founder and Music Director of L'Opéra Francais de New York, with whom he has regenerated rare French operas and also performed the world premiere of Dusapin’s To be Sung. Since 1994, the company has performed regularly to capacity audiences at the Lincoln Center." This is included because I panned the conducting for Merry Widow. He was great, but if he wants on my sexiest conductors list, he needs a better picture taken while conducting. Just saying. I wanted to see Grigolo in this role. 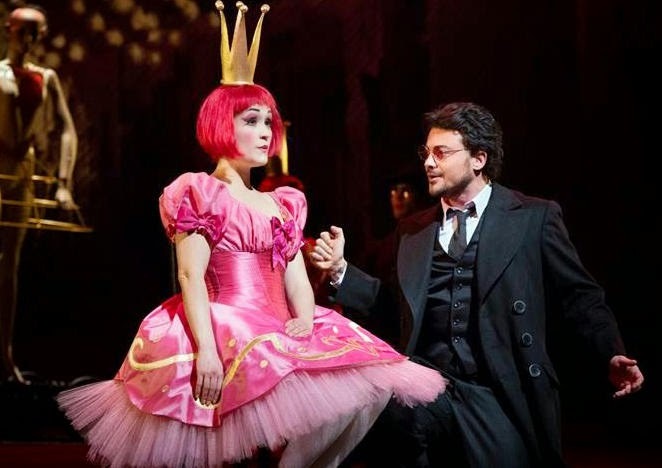 He was perfect beyond my imagining, wildly romantic, exactly what you want in a Hoffmann. Huge complaint: no separate bow for the ballet. Boo. This worked extremely well for me. I hoped others liked it as much as I did. Gounod's "O Divine Redeemer." We used to sing this in church once in a while, not really so much now. You will never hear it more beautifully sung than this. P.S. It's a habit by now. This hearing in church would have happened long, long ago. It cannot be certain even that I heard it more than once. I know that I remember only the chorus from "O divine redeemer", but I remember it exactly, along with all the words which were the same as these. The minds of the young are remarkable. Try to give them something important to remember. This year the gala appeared on my local PBS station. Perhaps this was due to my complaining, perhaps not. I'm showing the program that was on tv. Maestro Emmanuel Villaume conducting. GIUSEPPE VERDI, “Tutto parea sorridere…Sì! de’ Corsari il fulmine” from Il corsaro, MICHAEL FABIANO, Tenor. Michael is the current Richard Tucker Prize holder. VINCENZO BELLINI, “Qui la voce…Vien diletto” from I puritani, PRETTY YENDE, Soprano. GIUSEPPE VERDI, “Infelice!..e tuo credevi” from Ernani, ILDAR ABDRAZAKOV, Bass, NEW YORK CHORAL SOCIETY men. GIACOMO PUCCINI, “E lucevan le stelle” from Tosca, JOSEPH CALLEJA, Tenor. This piece is very short. JULES MASSENET, “Esprits de l’air” from Esclarmonde, ANGELA MEADE, Soprano; JENNIFER JOHNSON CANO, Mezzo-soprano, chorus. Angela is the only former prize holder to appear on the program. WOLFGANG AMADEUS MOZART, “Là ci darem la mano” from Don Giovanni, INGEBORG GILLEBO, Mezzo-soprano, ILDAR ABDRAZAKOV, Bass. 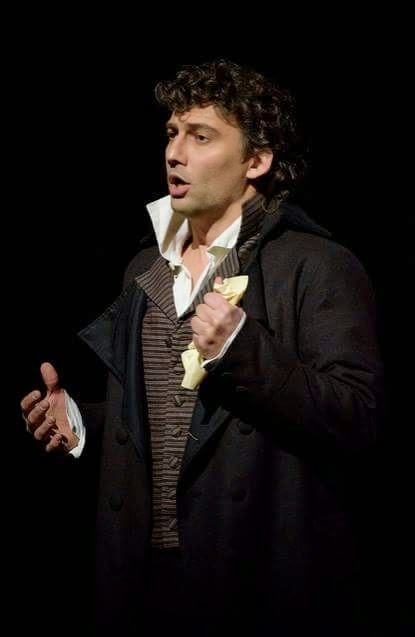 UMBERTO GIORDANO, “Nemico della patria” from Andrea Chénier, ŽELJKO LUČIĆ, Baritone. JULES MASSENET, “Pourquoi me réveiller” from Werther, JOSEPH CALLEJA, Tenor. JULES MASSENET, “Toi! 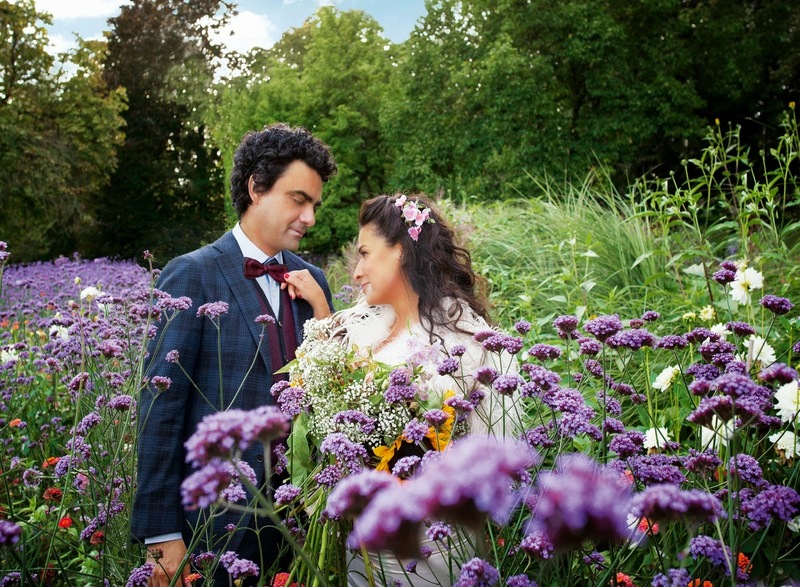 Vous!…N’est-ce plus ma main” from Manon, JOYCE EL-KHOURY, Soprano, MICHAEL FABIANO, Tenor. 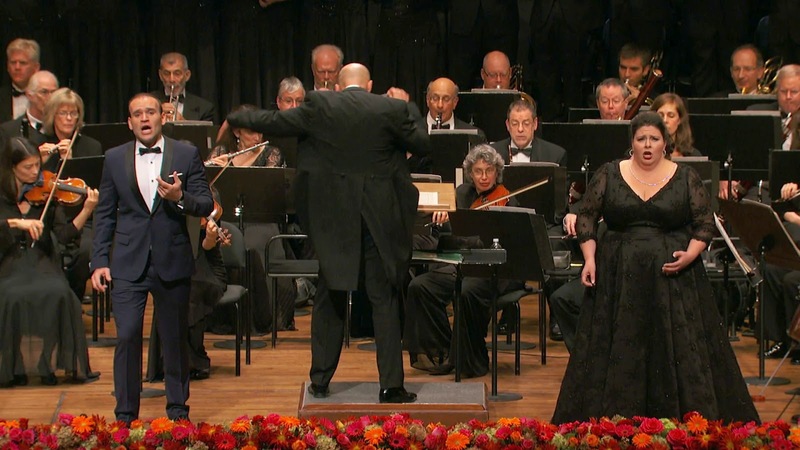 GIUSEPPE VERDI “Pace, pace” from La forza del destino ANGELA MEADE, Soprano. PIETRO MASCAGNI, “Regina Coeli…Inneggiamo” from Cavalleria rusticana, ELENA BOCHEROVA, mezzo-soprano, NEW YORK CHORAL SOCIETY. There needs to be some serious complaining on this item. The large chorus covered the mezzo most of the time. Normally the choir is offstage here, if I remember correctly, so you are going to have to tone them down. LEONARD BERNSTEIN, “I Feel Pretty” from West Side Story/ PRETTY YENDE, Soprano. Pretty singing a song about being pretty. Very cute. The conductor burst in with what sounded like prompting toward the end. What was that about? Michael Fabiano put on an excellent showing here. He held his own against big stars of the opera world and exceeded most of them in the passion department. Michael isn't one of those American opera singers who put all their energy into correct singing. He gets down. Bravo. I expect to see a lot more of him. Handel's Acis [ACE-iss] and Galatea was originally devised as a one-act masque which premiered in 1718 [some of these words borrowed from Wikipedia]. I decided to use the Wikipedia description of this work because it is a bit difficult to pin down. It isn't an opera. Why? In that period opera was in Italian. The text here is in English by John Gay before he became famous for The Beggars Opera. It's completely outside of Handel's oratorio period. So we're going with masque, a popular form during the life of Henry Purcell whose work this somewhat resembles. There is Purcell-like text painting, for instance. There is no dancing. Never mind. 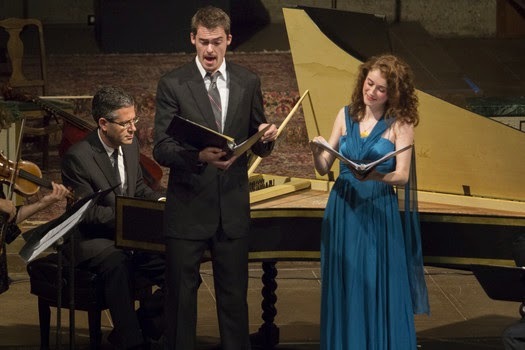 I went last night to hear the American Bach Soloists perform Handel's Acis and Galatea. For me they are the best classical group that appears anywhere near Sacramento. And what a wonderful piece. Who knew Handel could compose such fun, frolicking music? The finale of Act I says, "Happy we! What joys we feel! What charms we see!" and a celesta suddenly appears to accompany the chorus. This number was encored at the end. Have I ever seen an encore at an orchestral concert in America? They do it all the time in Italy. Even the monster Polyphemus who appears in Act II to produce the sad ending is strangely charming. Mischa Bouvier is one of my special favorites. Why don't we see him in more places? He sings, "Die, presumptuous Acis, die!" in a rather adorably savage way. No, I can't explain it. It's a love triangle. I'm not sure what the character Damon is for. He's like the voice of your mother in your ear telling you not to do bad things. 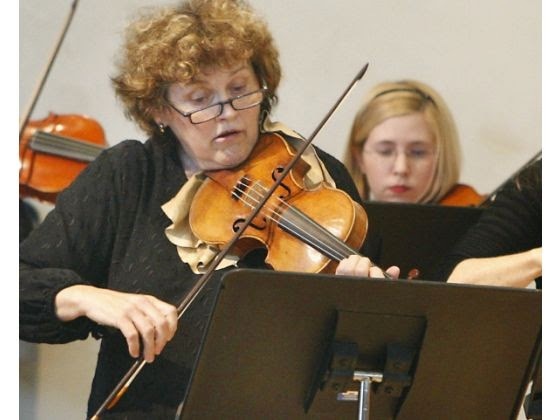 As a kind of prelude, Bach's Brandenburg Concert 4 was performed, with solos by Elizabeth Blumenstock (above) on violin, and Judith Linsenberg and Debra Nagy on recorders. Everything they do is fabulous. And Mary Wilson received a mention in Opera News best of 2014 in Laudate Pueri Dominum with American Bach Soloists (ABS). 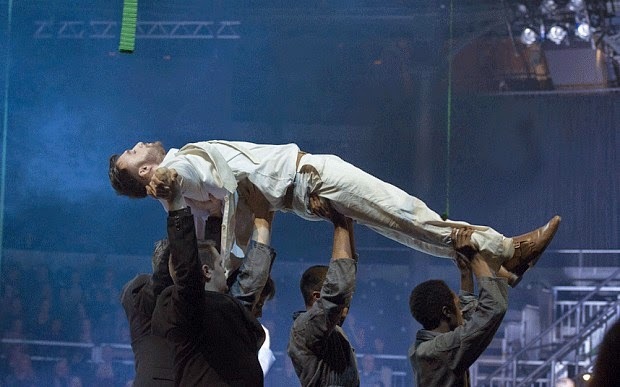 Today I streamed part of a performance in London by the Early Opera Company of Montreverdi's Orfeo. I want to sing or maybe even shout its praises. It was translated into English, and the translation was beautiful and poetic. Subtitles were provided which doesn't always happen with a live stream. I saw this work previously at ENO and Glimmerglass, so I have probably never seen it in Italian. I studied all about this. These guys got together and "invented opera." What they actually invented was recitative since all the other parts would have already existed. 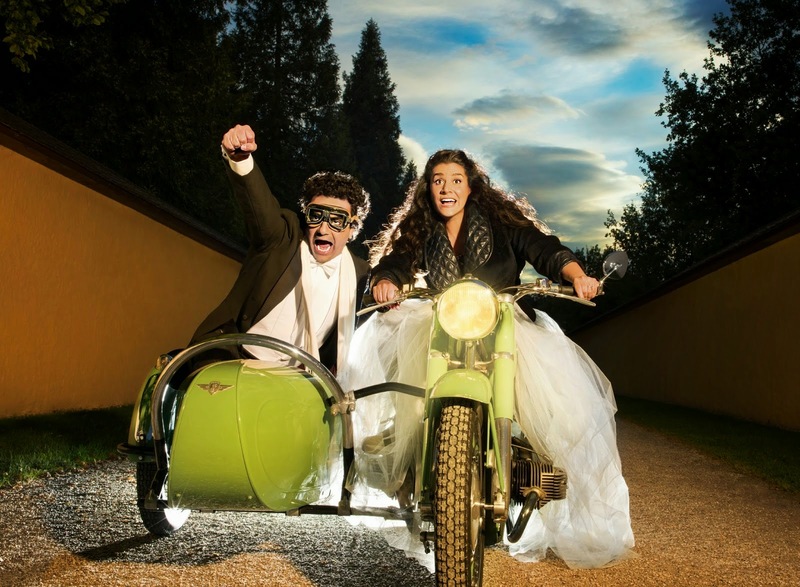 There are videos of their operas, but they do not prepare you for this incredible work. Monteverdi's later operas, Poppea and Il Ritorno, are composed for the new commercial theater in Venice and don't create the same effect at all. It is like nothing else. The other all recitative operas by Peri and Caccini are never performed, so it is impossible for the style to become trite. The music shows no hints of the contrapuntal style of the late Renaissance, nor has it progressed to the later fascination with tonality of the Baroque. It is simply expressive melody. Monteverdi has simply grasped in his great musical genius the infinite possibilities of this new idea of recitative. He knows that music is first of all for the soul. The subject is music, fate, love and death--Orfeo and his Euridice the framework. He brings us their passion as if it came directly from their hearts. The music was especially well done and lost absolutely nothing from translation. The staging was effective: a bit dark for my computer screen but very theatrical and dramatically clear. The movement was somewhat extreme, but not confusing of the drama. The singing was beautiful and the diction very fine. On his arrival in hell Orfeo sings a long, for our ears very unusual aria filled with the ornaments of this long ago era, accompanied mostly by what seems to be his lyre but includes at least 2 theorbos. Why should this strange music be so deeply moving? The extreme beauty of this performance goes greatly to Gyula Orendt, an intense singer with a beautiful presence. This version of the story seems to be missing the usual scene of Orfeo leading Euridice out of hell. They meet and immediately start talking to each other. The gods are angry and throw him out. I recommend finding a place in you life to contain this unique opera. Of my three Orfeos this is by far the best. With or without the beard? 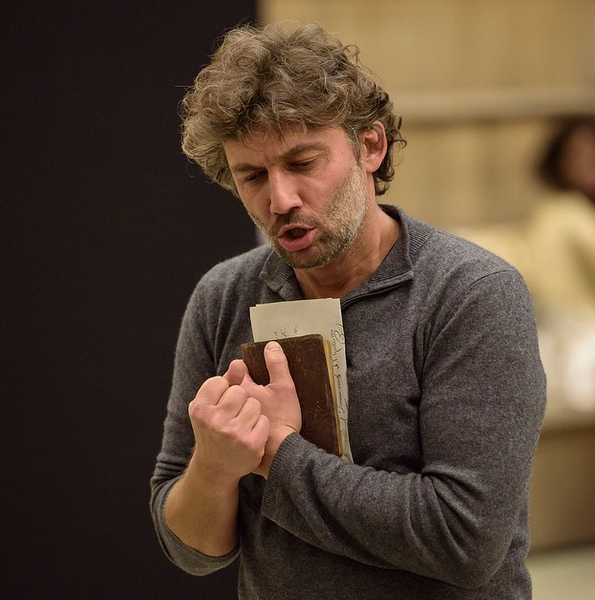 These pictures are both supposed to come from Andrea Chénier, rehearsal and performance, performances at the Royal Opera. The only track on this recording I can say I truly love. I can believe that Vienna was the greatest place on earth before the politicians ruined it. And no I don't have one. You have to buy a watch for that. Does it seem to you that she's having more fun? It turns out they are not merely being photographed together but will perform together next December at the Barbican in London. It is interesting the complete lack of overlap in these lists, except for Stella di Napoli. A letter from Two in Tune, the umbrella organization for the Sacramento Opera and the Sacramento Philharmonic, dated December 12, 2014, has fallen into my hands. They want us to know that, "Despite the difficulties, good news lies ahead. Our organization is now developing an aggressive turnaround plan to finally bring long-term stability and return first-rate orchestral music and opera, to Sacramento. The turnaround process is well underway, allowing us to look to 2015 with confidence and optimism." They are building connections to other performing arts organizations. Finding out what other people are doing and engaging their help seems a wise direction. They call this "a consortium of distinguished partners from across the country - veterans who have excelled in developing and implementing recovery plans for performing arts organizations. Members of this dream team of executives have worked successfully with clients located coast to coast: New York to California; Detroit to Tallahassee; Winston-Salem to Phoenix." All I can say is cheers. There is supposed to be an announcement soon. I was going around the circle at Curves the other day, and the attendant was complaining about the new movie Into the Woods. For her it had two endings: the expected fairytale ending and the second dark one. She also was surprised that there were musical numbers. I tried to explain that this was a film adaptation of a classic musical comedy by Stephen Sondheim. Who? There has been a wide range of reactions to this film. I imagine the range would depend on whether you had ever seen it as a musical. It was done live here in Sacramento a couple of years ago, so nothing really surprised me when I saw it today. I thought as film adaptations go, this one was excellent. 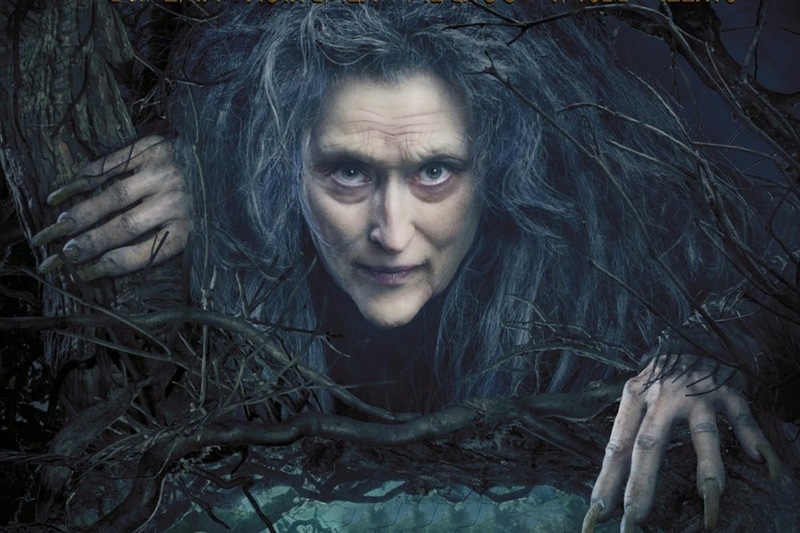 How could you want a better witch than Meryl Streep? Or a better wolf than Johnny Depp? I was especially impressed with the diction. Every one of Sondheim's words could be clearly understood. I think the movie's flaws are the musical's flaws. I think Sondheim couldn't bear to write a fairytale ending. P.S. I've never really been a fan of Sondheim, except as a lyricist. His first big project was writing the lyrics to Leonard Bernstein's West Side Story (1957), possibly the best of all American musicals. These are truly great songs. Sondheim, it seems, thinks they're too poetic. He's been very busy since then. He's done a lot of shows that I've never seen, and people seem to like to sing his songs. But a string of songs by Sondheim generally makes me cringe. I can only tolerate Judi Dench singing "Bring in the Clowns," for instance. Early in the blog I wrote: "While I was in London, I tried to see Sunday in the Park with George, mainly because I've never seen a Stephen Sondheim musical. Unless Sweeney Todd is Sondheim." I went on to say, "Sondheim is short choppy phrases of three to six syllables with tunes played on the black keys. All the tunes sound exactly the same. How does he do that? Perhaps it's a minimalist musical." But then I kind of liked Sunday in the Park with George when I saw it on Broadway. Still no hit tunes, but I kind of liked the content. With Sondheim it's more words over music. Ideas over execution. And then this year came the marvelous Sweeney Todd at Lincoln Center with Bryn Terfel and Emma Thompson, a truly great event. Their gigantic personalities raised it above itself. I can only shrug. He's too significant to simply ignore, but musically he never grabs me. I'm now going to retire Into the Woods and Sweeney Todd. Enough.